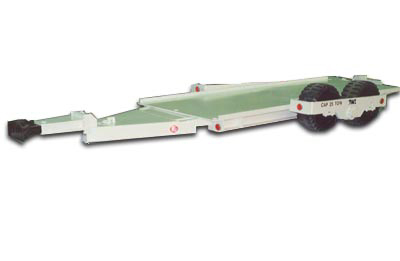 Industrial Trailers by Allegheny Material Handling, Inc.
Allegheny Material Handling's line of Industrial Trailers include models and features to meet the needs of all major industries including Automotive, Basic Metals, Heavy Manufacturing, Rigging, Stamping, and more. 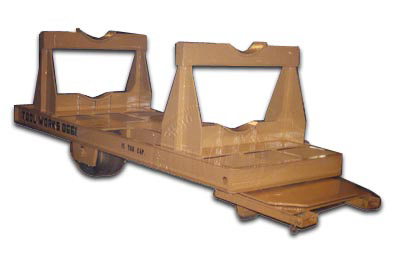 Our Four (4) and Eight (8) wheel "light-duty" trailers are ideal for warehousing, light manufacturing and automotive assembly plants. 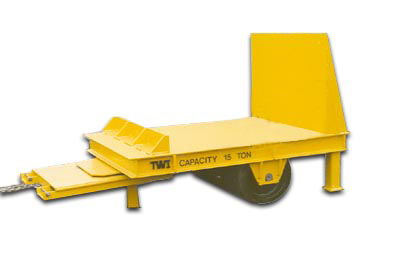 The units have load capacity ratings that range between 500 lb. 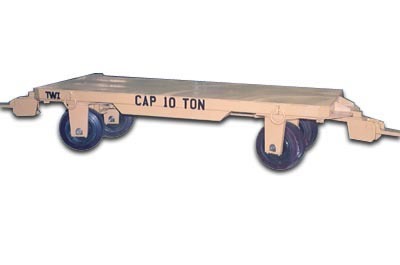 and 10,000 Ibs. 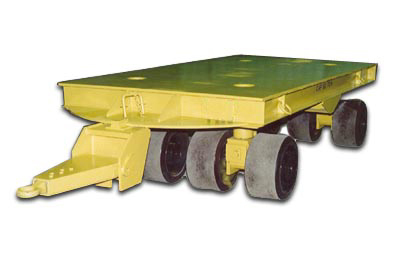 They include such features as fifth-wheel and automotive type synchronized steering arrangements, single or double end steering, flat steel, safety tread or hardwood deck surfaces. 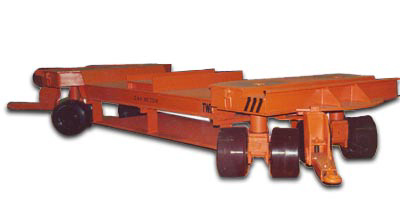 The trailers can be towed with as many as 8 units in a train. 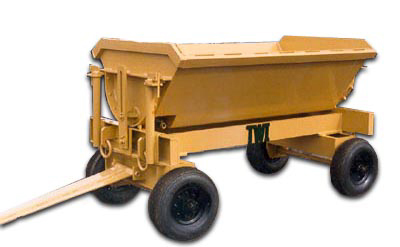 Our "medium-duty" trailers are a proven utility trailer used for a wide range of applications and all industries. 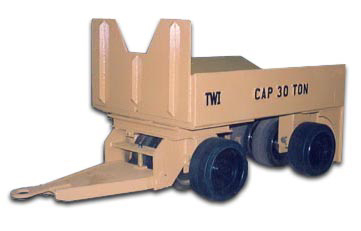 The majority of the units manufactured range in capacity from 5 Ton to 50 Ton. 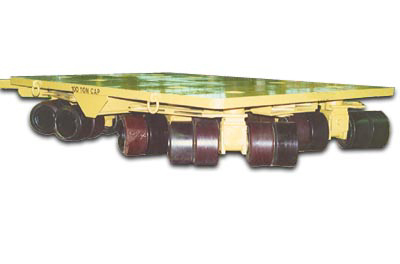 These units are equipped with eight (8) or sixteen (16) wheel designs and have automotive type synchronized steering arrangements. 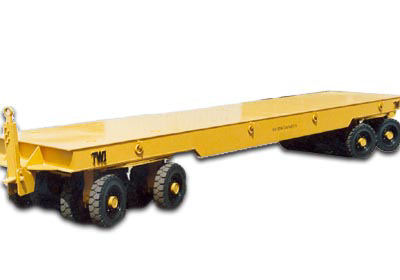 Both single-end and double-end steering arrangements are available and can be equipped with a towing tongue on either one end or both ends of the unit. 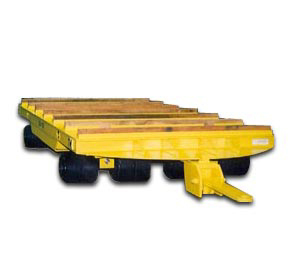 Our "heavy-duty" trailers are designed for handling the large and heavy loads found in the Steel, Automotive and Heavy manufacturing industries. 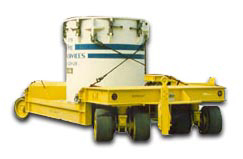 With load capacities that range from 50 ton to 300 ton these Allegheny units are designed for the toughest job. 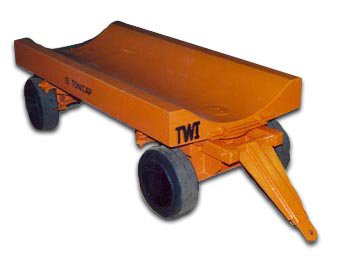 In addition to designing the trailer to handle the load, they are designed for impact loading by overhead crane. 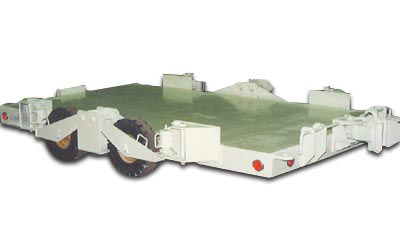 In short, these trailers are designed to withstand the punishment of heavy industry. 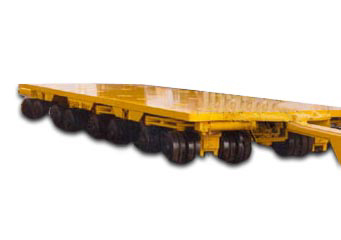 The units feature designs incorporating eight (8) to sixty-four (64) wheels, single-end or double-end steering arrangements and also have automotive type synchronized steering. 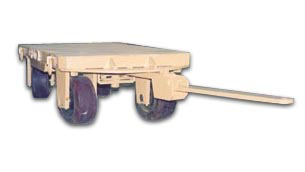 Allegheny's "minimum-height" trailers feature a trailer designs with load deck heights from 10" to 24". 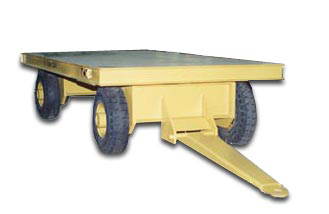 Our flat deck trailers are available with deck heights that range from 18" to 24" equipped with 16, 32 and 64 wheels. 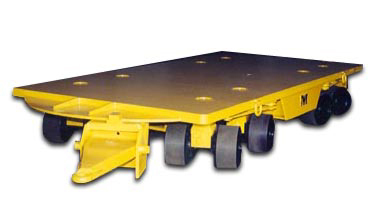 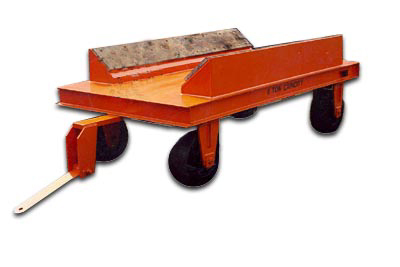 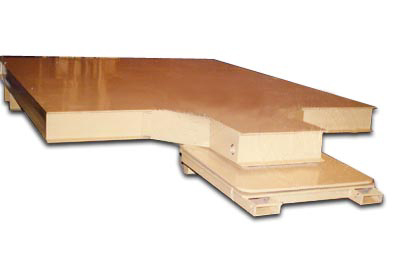 Our "drop deck" designs feature a load deck section between the wheels with a deck height as low as 10". 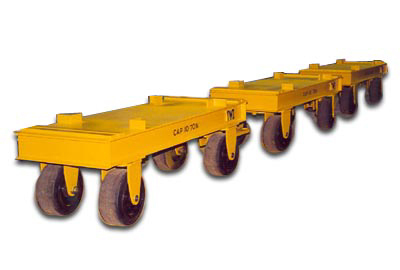 These units are equipped with eight (8) and sixteen (16) wheel designs. 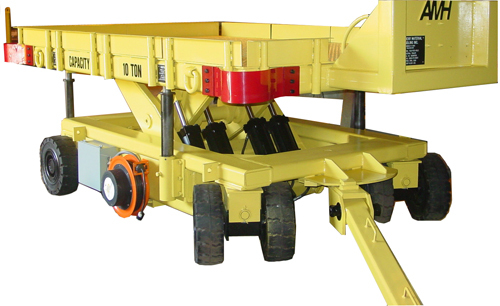 All of these units are available with both single end or double-end steering arrangements and automotive type synchronized steering.